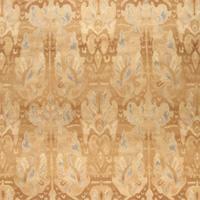 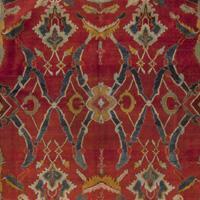 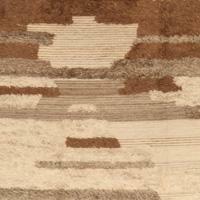 Inspired by the temples in Nadu regions of India, Tulu is long hairy wool textiles. 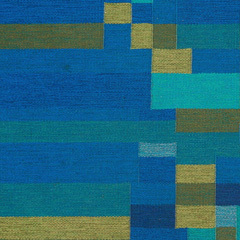 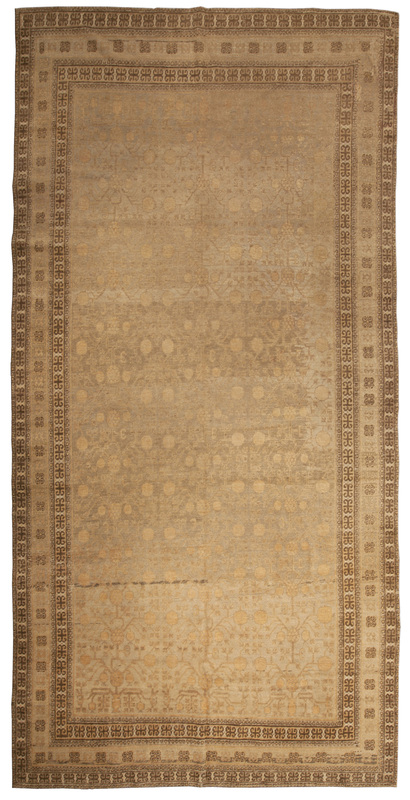 I am crazy about the construction of this rug hairy as they come but in areas flat woven. 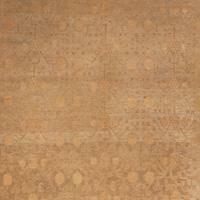 Based on the ancient city in Spain these very clear Cuenca designs always attract the most sophisticated client. 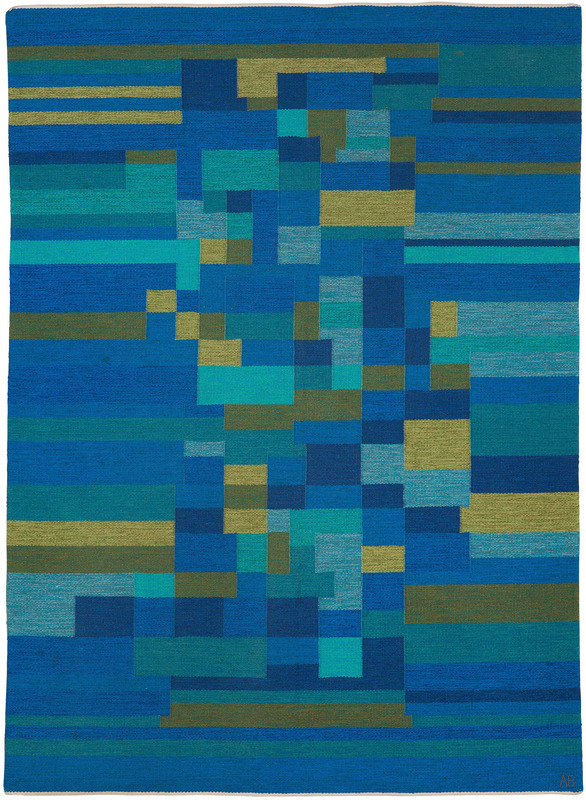 Designed by Eskayel and interpreted by DLB it is based on her sea side collection reflecting different moods attached to water. 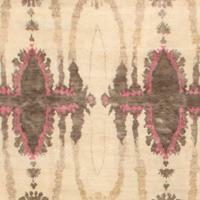 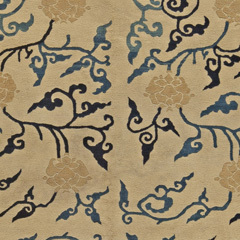 This rug is so faded it almost looks like just a concrete side walk with pomegranates on top. 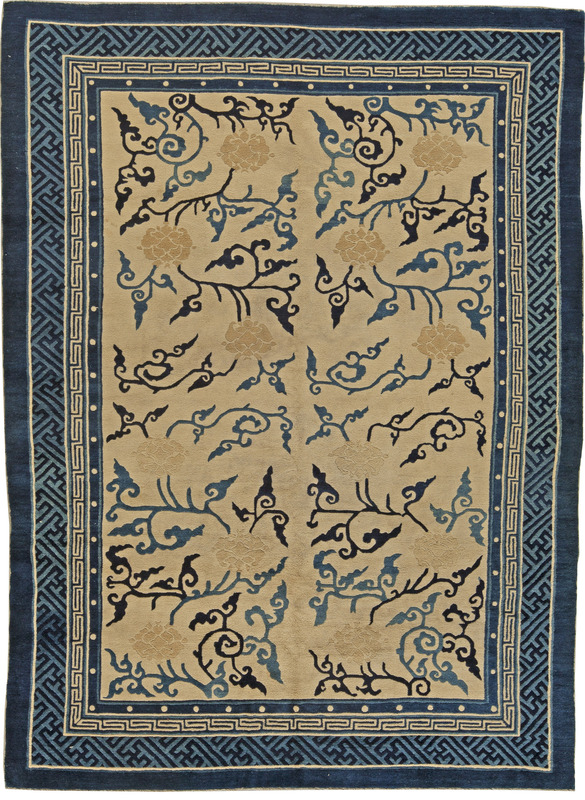 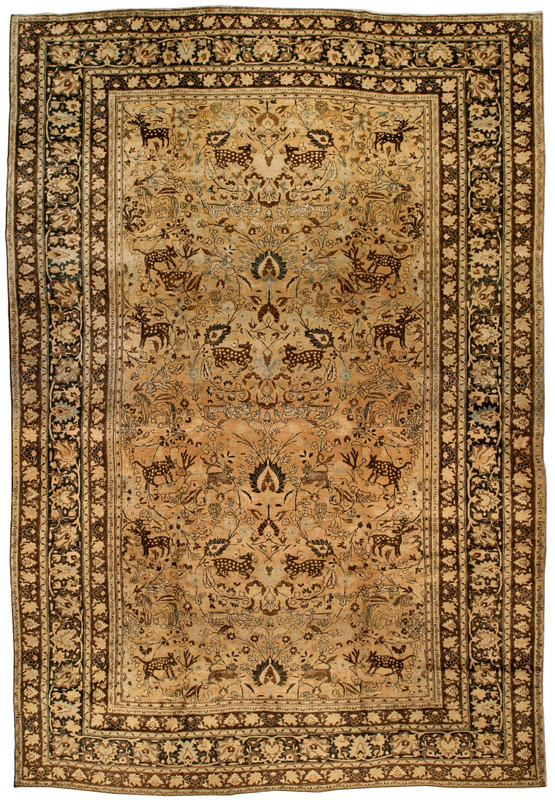 A Second Quarter 20th century Samarkand rug that has a very nuetral overall design with a hint of coral within a border that has a graphic and contrasting chocolate brown motif. 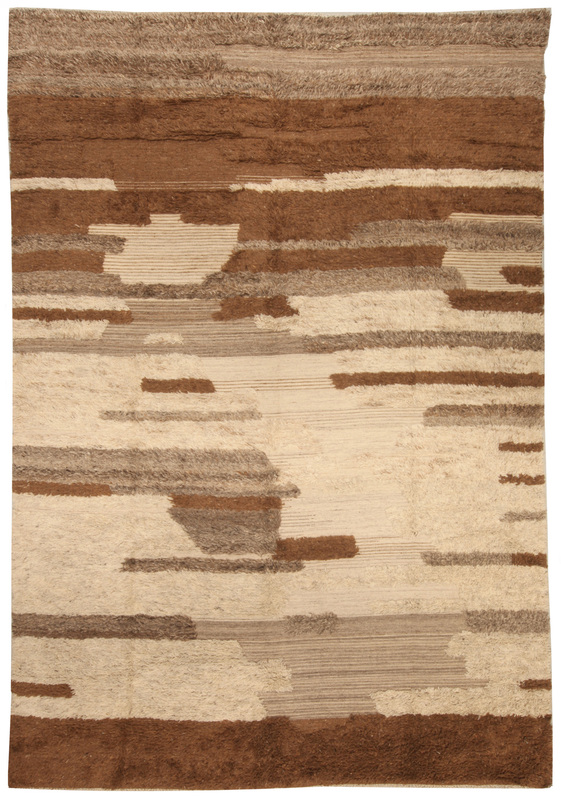 So powerful almost impossible to use in a room that did not start with the rug. 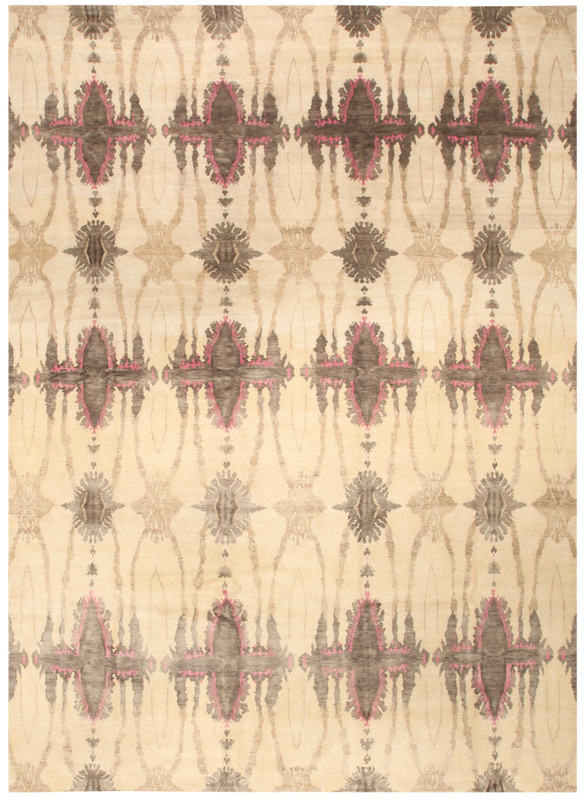 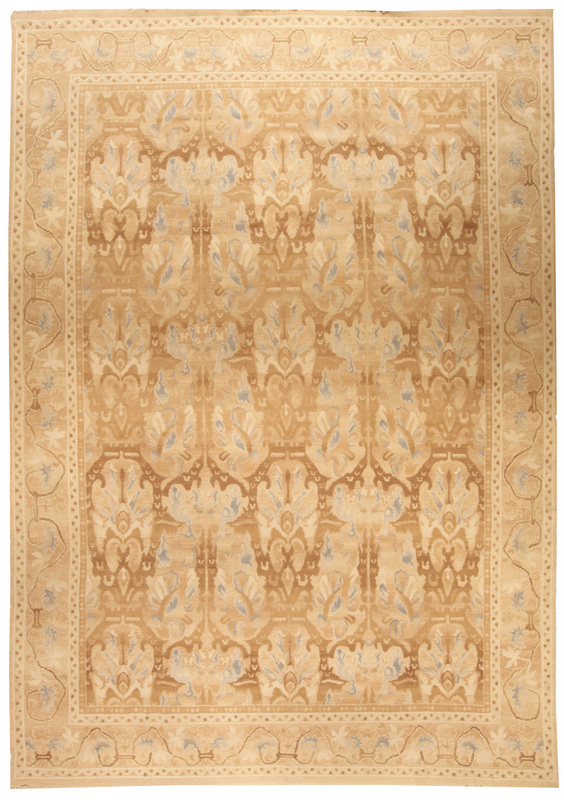 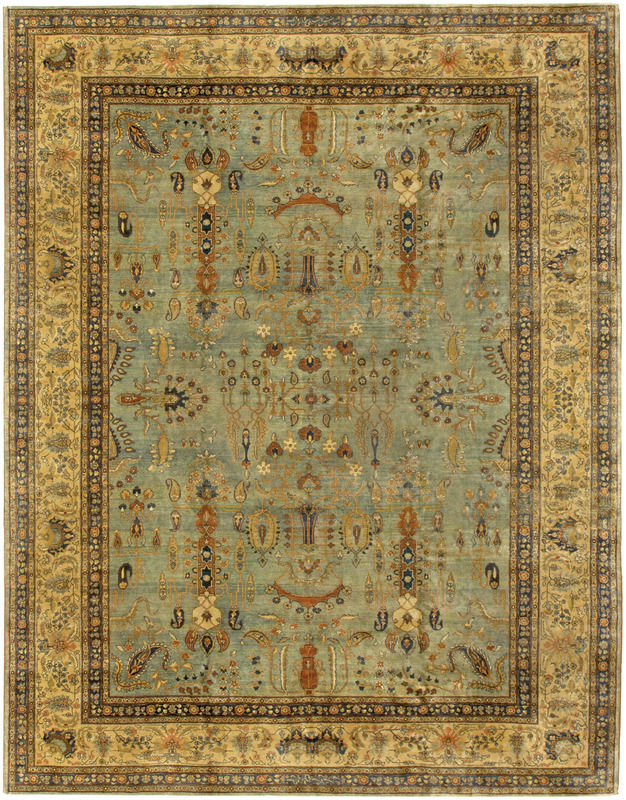 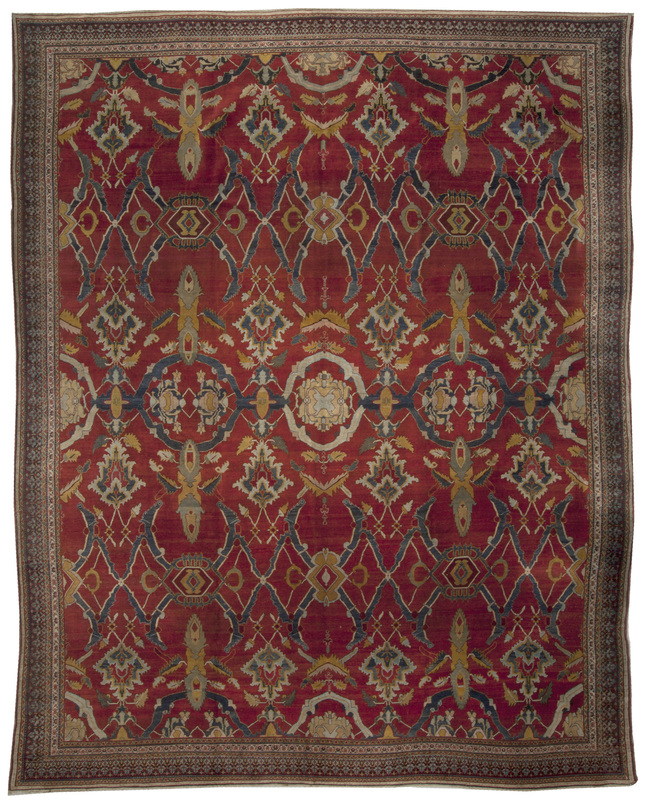 A Jewel Toned Indian Agra Rug with a symetrical design of abstract floral and geometric shapes within a multi stepped border. 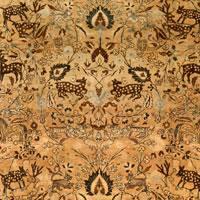 Really harmonious, love the spots on the Deers. 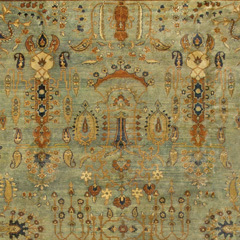 An early 20th century Persian Meshad (Meshed) antique rug, the camel field with a whimsical allover design of palmettes, exotic animals and swirling vinery within a dark brown palmette and vinery border.